Yay for fruit! 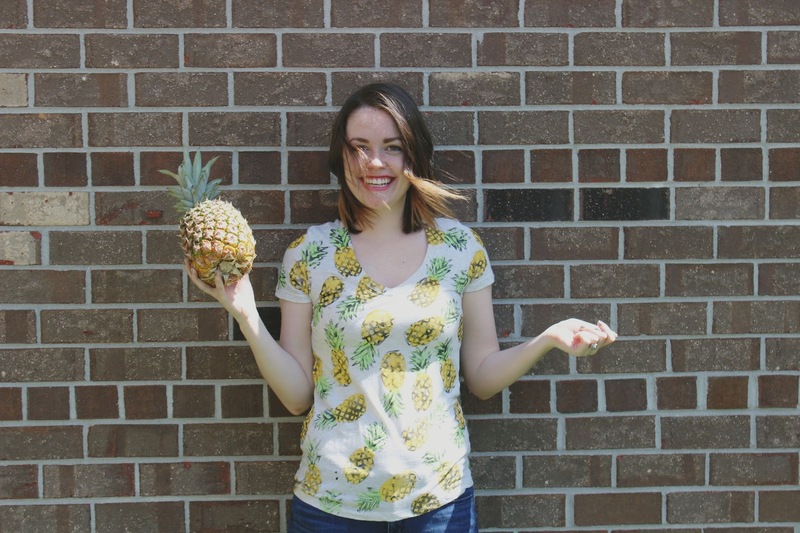 I sure can eat some pineapple, so of course I would love a pineapple print tee. I’ve spotted some great clothing with fun fruit all over it in stores and I wanted to make my own. Beware white clothing, you will be covered in some sort of fruit soon! 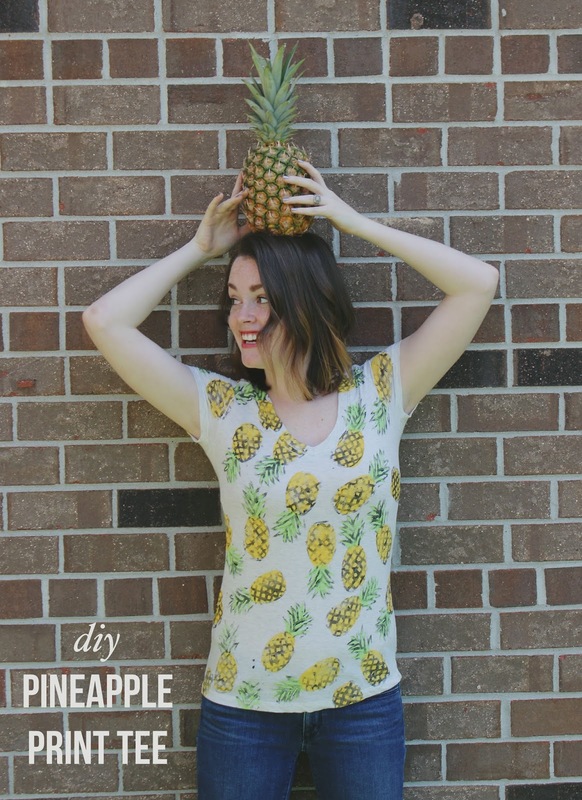 It’s a simple DIY and I even made a printable to make it easier to get the pineapple shape! 1. 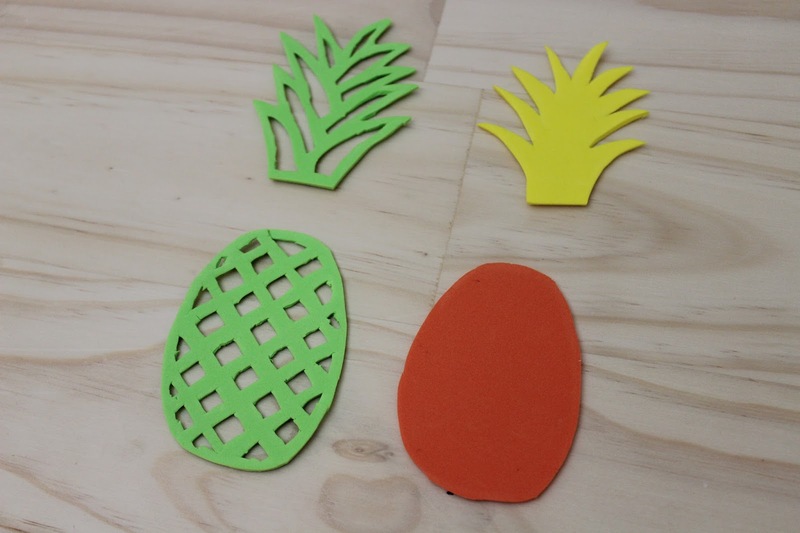 Draw out the pineapple shapes needed or use this and trace them on the foam sheets. Cut them out, and remember no pineapple is perfect so a little imperfection is good! 2. Apply a thin layer of paint to the foam stamps and begin to layer them. The order I went in was green top, yellow body and then the black outline. Allow the paint to dry in between applications. Have fun! Finish the front and back, let it dry and volia! 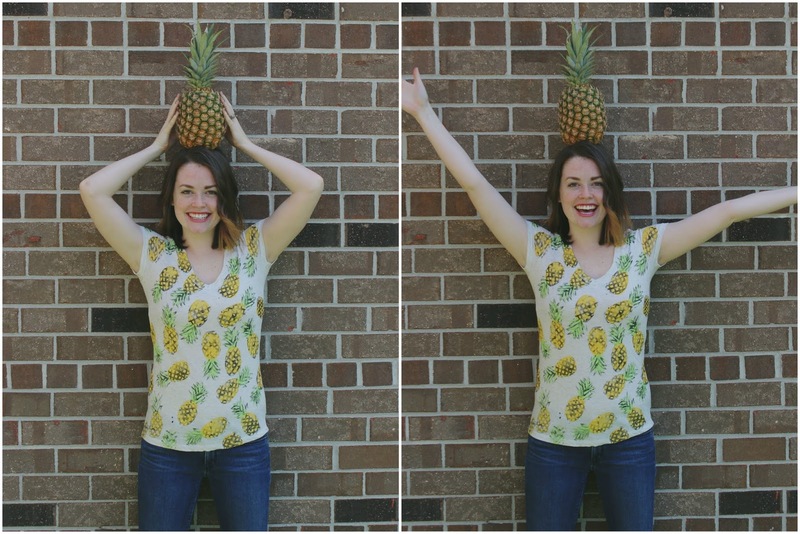 Of course an impromptu photo shoot with a pineapple was completely necessary. "Boots & Socks & Boots"